Prague is without doubts an attractive travel destination all year round. However, there are only two real travel peaks: summer and the whole December. Since it is November now I decided to sum up for you 7 practical tips about Christmas season in the city. 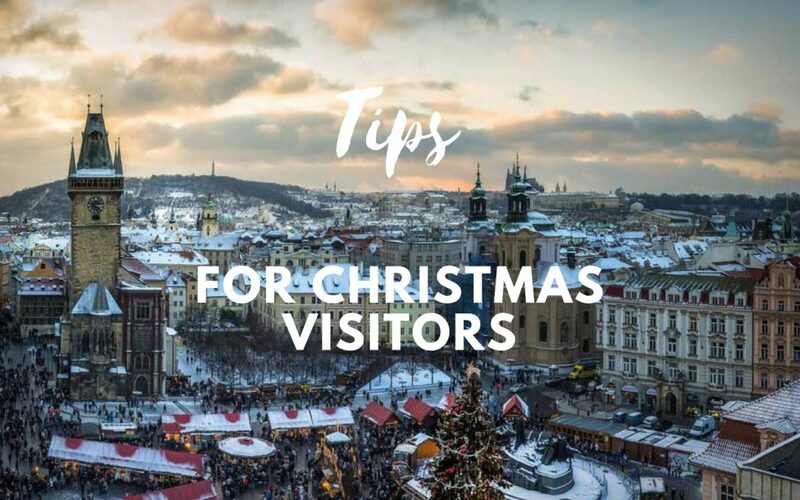 If you are coming to Prague during this time of a year and want to be well prepared for everything common and unusual, this post is for you. 1. When the Christmas markets start in Prague? This year (2017) Christmas markets open on December 2nd (in the afternoon) and last until January 6th 2018. Most of the stalls will be open daily from 10am til 10pm. Food and drink stalls even longer. Christmas markets on Old Town Square and Wenceslas Square rank among the TOP 10 best Christmas markets in the world, according to CNN news server. Local´s tip: try not to stay only downtown in the busiest and crowded squares. Come to meet locals on other markets, too. Local Christmas markets have completely different offer, better prices and more authentic atmosphere. And there are less pick pockets, too!!! I recommend Christmas markets on Náměstí Míru or on Tylovo náměstí or on Náměstí Jiřího z Poděbrad (where you can also visit local farmer´s markets). Opening hours can be different from downtown, usually shorter. They will be open til December 24th. Grog is something what helps us to survive cold winters. It is a simple seasonal drink that will warm you up in a minute. Besides mulled wine and punch it is also very typical Czech drink served on Christmas markets. It consists of one shot of Czech brown rum, hot water, sugar and lemon. Local´s tip: Don´t miss grog while you are in the Czech Republic (they also serve it in restaurants). Mulled wine you can get everywhere in the world but Czech grog is only our invention! 3. Why there are carps in the streets? Carp (fish) is a traditional Czech Christmas meal. Breaded deep fried carp with potato salad is served almost in every family on Christmas Eve. Couple days before Christmas you can see in Prague streets big tubs and swimming carps in them. People simply come and pick their own carp for Christmas dinner. Some buy them alive and keep them in bathroom tubs (fun for kids) and kill them later. But most people ask sellers to kill them in the street. So dead fish, blood and scales are also part of our Christmas time. Local´s tip: very nice tradition is to buy carps and free them in Vltava river. However, this is only possible when the water is not too cold, otherwise carps can die of temperature shock. Rather take few carp scales, clean them and keep them in your wallets. They guarantee enough money during the next year. Nowhere! Santa doesn´t deliver presents to the Czech Republic. We have “Ježíšek”, Jesus baby. All presents come from half naked baby who abseils from heaven on a golden chain and make us happy. Local´s tip: Get a mulled wine and forget about Santa for a while. 5. What is the nice smelling pastry sold on every Prague corner? Local´s tip: Trdelník tastes good but what about to try some ginger bread instead? 6. What Czechs do during Chrismas and what can we do with them? People are very nervous from the hustle and bustle before Christmas (Mariah Carey, shopping, baking cookies, you know what I mean…). But once this crazy time is over we like to go to churches to have a look at nativity scenes (“Jesličky”). Czech Republic is one of the most atheist country in Europe and we don´t go to churches very often. But this is something we basically like to do. Especially with kids. Jesličky (nativity scenes) are presented in every church usually from the Christmas day (when Jesus was born) til January 6. Local´s tip: The most beautiful nativity scene in Prague you can find in Kostel Panny Marie Andělské in Hradčany district. This nativity scene was made in 18th century and consists of 48 (almost real human size) figures. Sometimes I stop there with my clients during Christmas tours. 7. Do we need a sledge when we come to Prague in December? Local´s tip: …and drink enough hot wine! Have a fantastic time in Christmas Prague! And if you are interested in Prague Christmas tour, feel free to contact me!